Our Baton Rouge Valpak franchise can design a business website that meets the needs of your products and services. We can create the right mix of SEM and SEO opportunities, plus our team is Google Premier Partners to help you reach your most desirable audience. If it’s proof of performance you’re looking for, Valpak of Baton Rouge will exceed your expectations. We use high-tech tracking tools, such as performance tracking and call tracking, to analyze consumer response. With tools like these you will always know how your advertising spend is performing. Let Valpak help you reach as many as 110,000 households in Baton Rouge, Denham Springs, Gonzales, Prairieville, Zachary and other nearby Louisiana cities. Advertise your business monthly, occasionally or seasonally. Choose the neighborhoods you value the most and tailor your coupons just for them. For specific dates and coverage, contact your Valpak of Baton Rouge representative. 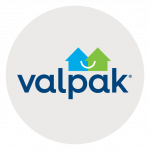 Valpak of Baton Rouge is an independently owned Valpak franchise.